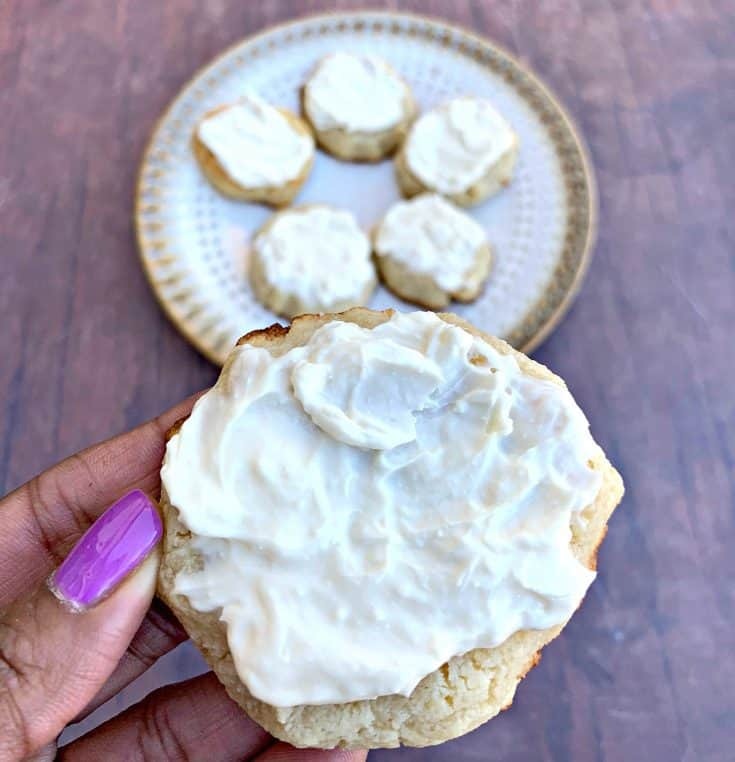 Looking for the yummiest keto cream cheese cookies recipes on the internet? I’ve put together five recipes that you won’t be able to resist making as soon as you see how good they look! Mmm, cream cheese. Would it be a stretch to say that cream cheese makes the world a better place? 😉 With only 0.6g net carbs per tablespoon, it’s a great addition to any keto diet… and any keto diet cookie! Cream cheese can help make cookies more rich, moist, and flavorful, and I think we can all agree that cookies with those attributes are pretty darn good cookies! 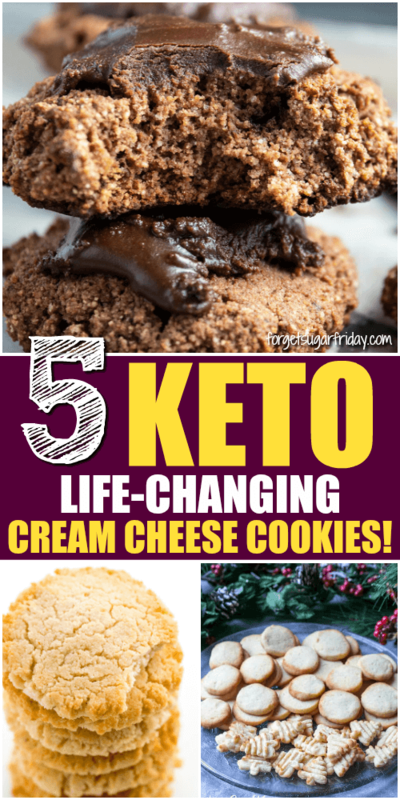 In this post, I’ve rounded up five keto cookies recipes that contain cream cheese. Even better, I’ve personally tried the first one (as of right now; the rest are on my to-make list!) and have added some of my feedback so you know what to expect when you make it yourself. Make sure to leave me a comment telling me which one(s) you try — I’d love to hear your feedback, too! Swerve Confectioners: If you’re looking for a sugar substitute, you’ll love Swerve Confectioners! It uses (natural) sugar alcohols which have zero effect on blood sugar, meaning you can subtract them from the net carb count. (That gives Swerve zero net carbs.) It also measures just like sugar, so there isn’t any guessing about how much to use. The cookies themselves aren’t super sweet. If you’re used to sugary sweet cookies, you may find them a bit intense. The icing adds a nice hit of sweetness though, so if you want a sweeter cookie experience, thinly spread the icing over the entire top rather than concentrating it on the center of the cookie. The recipe says to be careful not to overcook the cookies. This is VERY important! Unfortunately, I didn’t get my timing quite right and ended up with cookies that were a bit burnt on the bottom and a touch dry. (But still tasty!) I pulled them out at 15 minutes (bake time is 15-20 minutes) and thought they seemed a bit undercooked on my toothpick up until minute 17, but by minute 18, they’d gone too long. I used regular instant coffee rather than instant espresso. I didn’t have any instant espresso on hand, so I made do with regular instant coffee. (FYI, you add the actual granules, not liquid.) I liked the hint of flavor it gave to the cookies, but I suspect that instant espresso would have added a richer flavor. Aren’t these cookies adorable? They can be cut into shapes for holidays (or just for fun!) or you can make a standard cookie shape after rolling the dough into a log and slicing them. You had me at “iced” and “soft”! 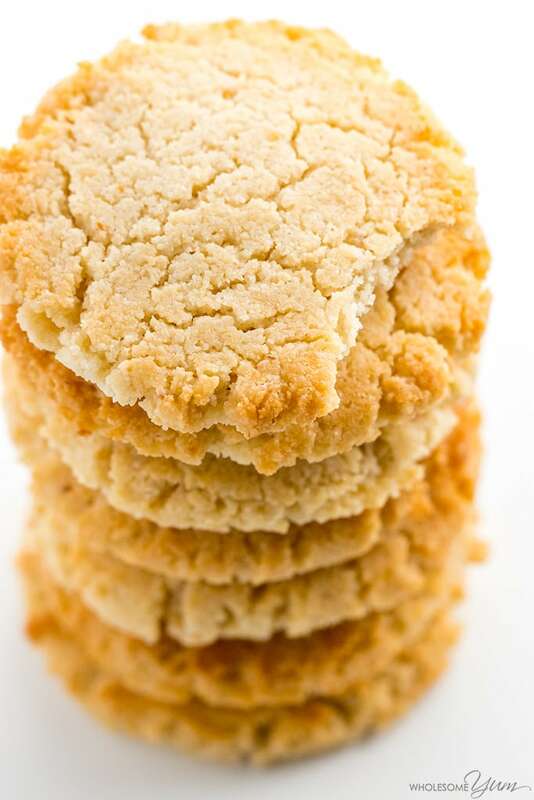 These keto cream cheese cookies use only almond flour (no coconut flour), so if that’s all you have on hand, you’ll definitely want to give these a try. 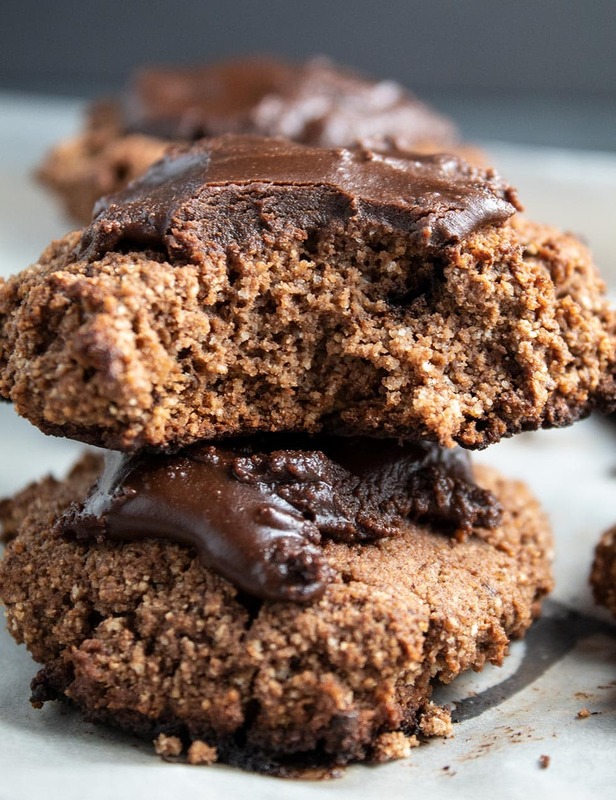 These easy keto cream cheese cookies call for dark chocolate chips or almond if you’d prefer. (Or maybe even both!) You could probably get away with adding chocolate chips to any of the above recipes, but this recipe is your safest bet since it’s been tested with the addition of chocolate chips. Which Cream Cheese Cookies Did You Try? 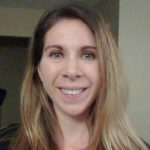 Please let me know your experiences in the comments! 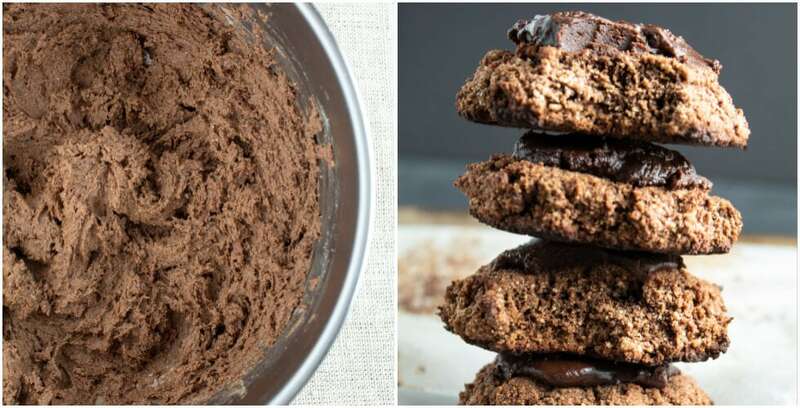 Interested in More Keto Cookie Recipes? 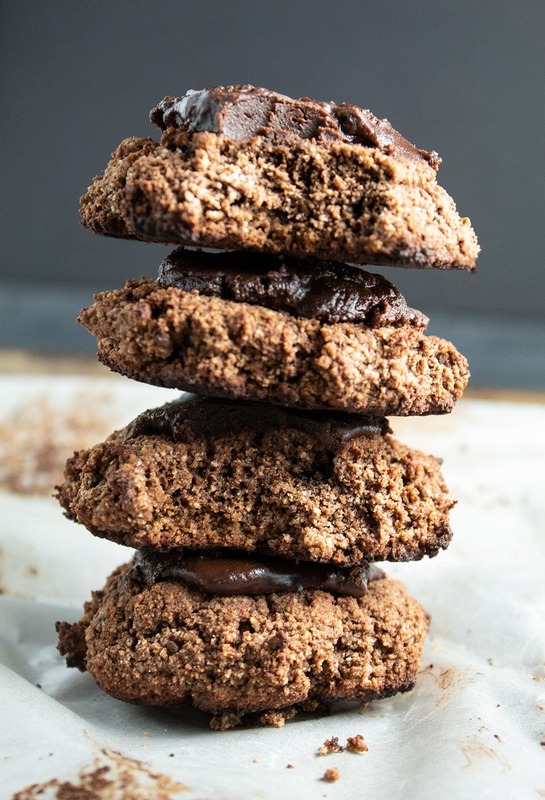 Check out my roundup of 17 of the best keto cookie recipes! 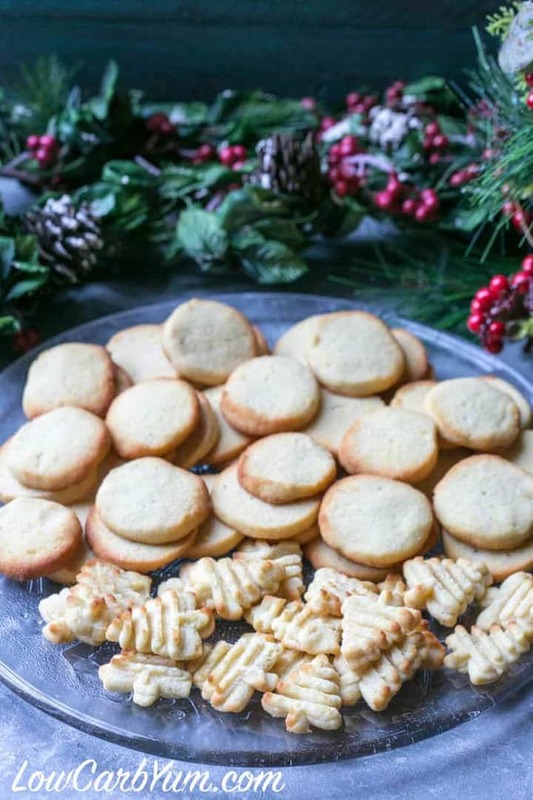 I hope you love this keto cream cheese cookies roundup! If you liked this post, I would so appreciate you giving it a share by using the social sharing icons. THANK YOU! Just made the easy cream cheese cookies by Wholesum Yum. They are pretty good. 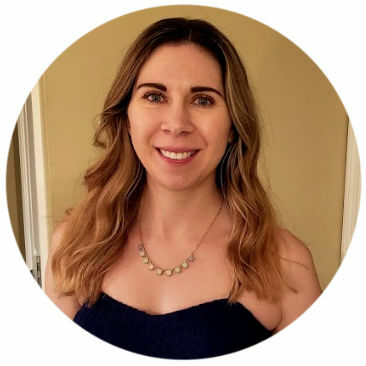 I think I would recommend adding a little more sugar (I use Sweet Like Sugar by Ketologie) to make it a little sweeter. I did drizzle some Choczero syrup on top too. Husband really liked him and he HATES cream cheese. Snuck it in on him. Ha!